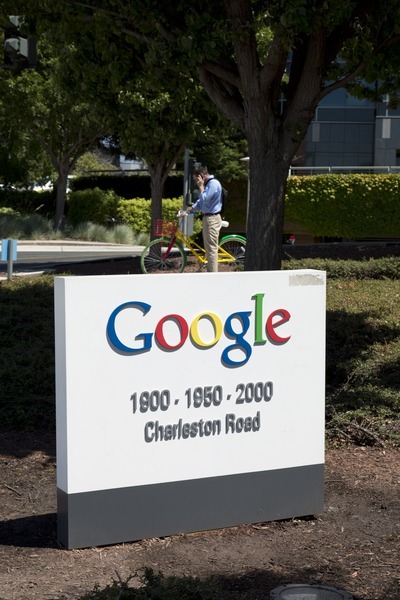 NEW YORK (AP) – Google’s new smart speaker is at once a secretary, a librarian and a radio. Ask about your day, and the Home speaker will give you the time, weather, estimated commute, the news and upcoming calendar appointments. It will convert miles into feet, and dollars into euros. Want to hear Adele or Coldplay? Home will fetch you some tunes. If this sounds familiar, it’s because Amazon has already been at it for about two years. Its Echo speaker can do what Home does and more, thanks to Amazon’s head start in partnering with third-party services such as Domino’s Pizza and Fitbit. But Home is smarter in a few other ways, as it taps what it knows about you from Gmail, Maps and other Google services. Home is also $50 cheaper, at about $130 (though Amazon offers a mini “Echo Dot” version for just $50). Think of both Home and Echo as extensions of your iPhone or Android device. Sure, I can check weather on the phone, but why not just ask the speaker as I’m getting dressed? And no need to lift a finger to check the calendar. With guests over, I can resolve trivia disputes using voice searches and avoid screens. This week, I was able to keep tabs on the Chicago Cubs’ quest to break a century-long World Series drought. Both devices work as alarm clocks or timers – great in the kitchen. Both can control lights, thermostats and other internet-connected appliances, though you need capable devices first. Of course, I have to get used to speaking aloud with no one around. Privacy is a concern, too, once I enable all the features. Anyone within hearing distance will know when I’m seeing the doctor or leaving my apartment empty for vacation. Home and Echo are continually listening for commands, though Google and Amazon say nothing gets passed back to them until the speakers hear a keyword – “OK, Google” for Home and “Alexa” for Echo. A light comes on to remind you that it’s listening. You can turn off the microphone temporarily, too. Neither device is all that proactive. Android phones with the Google Now assistant will remind me when it’s time to leave for work or the airport, based on estimated travel times. But I’m usually not checking the phone as I’m getting ready to leave. I could use a nudge from either speaker. On the other hand, I might find a stranger’s voice jarring when I think I’m alone. It’s a new technology, and companies still have to figure out the right balance. And while Home and Echo offer the basics, neither lets me dig deeper. Sure, I have an appointment at 11 a.m., but where is it and with whom? And how can I get there? It’s back to the phone. Another limitation: Both speakers are tied to a single account, so families won’t get individual calendars and preferences. The speakers are more powerful when they coordinate with your other devices. The best stab so far comes from Amazon. Ask Echo the weather, and the speaker will tell you current conditions and the day’s forecast. But if you have an Amazon Fire tablet nearby, you automatically get a full-screen display with the week’s forecast. Ask Echo about the Cubs, and you’ll hear the score. The tablet gives you inning-by-inning breakdowns. Home can control Google’s Chromecast streaming TV devices, but the preview I’ve been testing has been painful to use. You can pause, resume or forward video; you’re also supposed to be able to rewind and start from the beginning, but Home gets fussy. It currently works only with YouTube video (Netflix and Google Photos are coming soon). Even then, Home keeps thinking I’m requesting a song that doesn’t exist. There’s potential here, but controls on the phone are much easier. Watching TV shouldn’t take a lot of work. Ideally, the technology will just know where and how to present information and entertainment. In such a scenario, you can set one alarm, and Google or Amazon will find you wherever you are – whether it’s on the speaker at home, or a phone if you’re away. Or if you ask the speaker about a nearby restaurant, directions go to your phone. For now, unification is limited to a shopping list you can add to and view (or hear) from any device. Home, with an early incarnation of a Google digital companion called Assistant, seems the smarter of the two out of the gate. It knows about my upcoming flight, based on reservations in Gmail. It offers commute times using transit, as Google already senses through my Android phone that I don’t drive to work. Home can also estimate driving time to just about any other destination. Echo sends me to work, even when I ask about Boston. And Home is alone in setting alarms more than 24 hours away. But partnerships will make these speakers more useful. I can ask Echo about my Fitbit goals or order pizza from Domino’s; I can’t with Home. Amazon has more than a thousand such partnerships, known as skills. Google’s integrations are initially limited to calling for Ubers, changing news or music providers and controlling smart devices from Phillips, SmartThings and Nest (a Google sister company). Google still has bugs to work out. How are the Chicago Cubs doing? Home told me the Cubs are the regular-season division leaders and are based in Chicago. Duh! I had to ask again for the World Series score. And after the Cubs won in extra innings early Thursday morning, both Home and Echo were nonchalant in giving me the final score. I wouldn’t have known from either that the Cubs were now the world champions and that Chicago fans got to finally celebrate.